Odo-otin Youths Forum have pledged their support for Bello Adegboyega Basheer, BABS to become member Federal House of Representatives, Abuja, that will be representing Ifelodun, Boripe, and Odo-otin otin federal constituency. 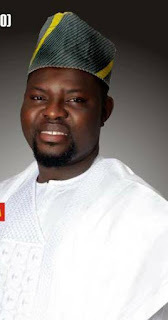 The youths of Odo-Otin local government (compromises of North, South and Central) While endorsing Bello Adegboyega Basheer, the chairman of the forum describe Bello Adegboyega Basheer, BABS as the best aspirant among the rest in IBO federal constituency. One of the member also express his pleasure to receive the awareness of BABS' aspiration. According to him, BABS has done many things to help people in their constituency as an humanitarian that render services to the less privileged people. The young man also describe BABS empowerment programmes as one of its kind in the state of Osun as a whole. One of the member of the forum who is also an APC member also state that BABS has been contributing immensely to the party in several dimensions since 2010, this makes him qualify for the post and if he can be given the mandate he will do more for the people at grassroot level and beyond. The leadership of BABS Youths Movement commend the efforts of the forum so far. He express his pleasure on behalf of BABS for the pledge of the entire member of the forum and also solicit for their commitment to canvas the majority of the people of IBO federal constituency to our side in order to have good outcome in 2019 by which Bello Adegboyega will become the next member federal House of Representatives under the platform of All Progressive Congress party APC.